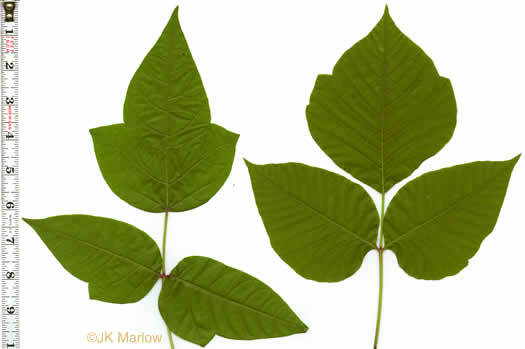 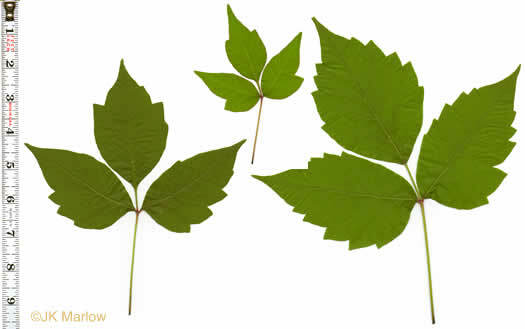 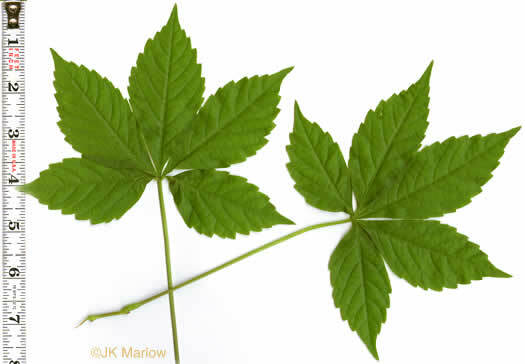 Your search found 15 image(s) of leaves of Poison Ivy and others confused with it. 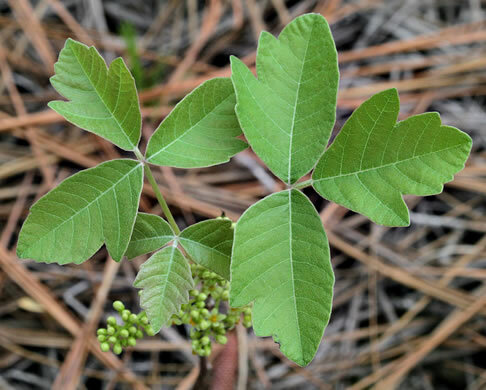 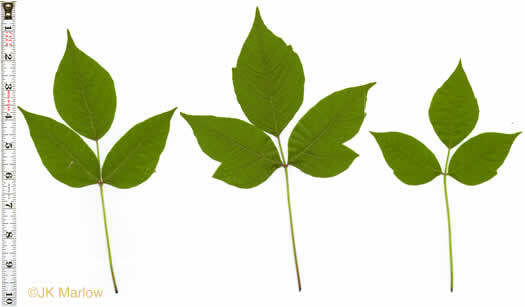 Terminal leaflet sessile, thus different from Poison Ivy and Poison Oak, per Trees of the Southeastern United States. 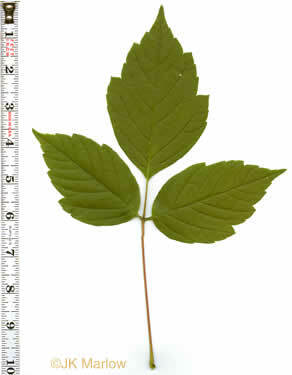 Lateral leaflets often assymmetric, per Forest Plants of the Southeast and Their Wildlife Uses. 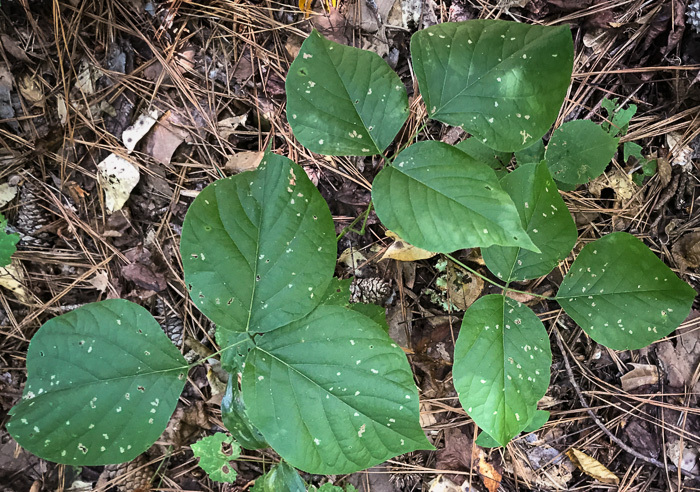 Leaflets shallowly lobed, coarsely serrate, or rarely entire, per Guide to the Wildflowers of SC. 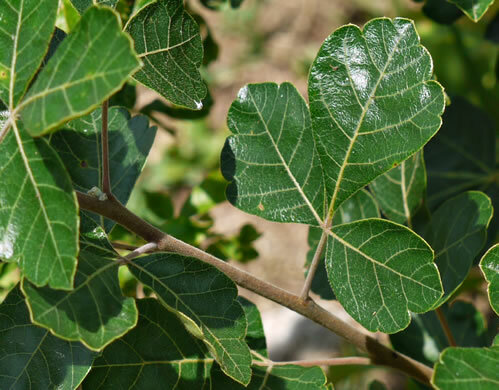 Coarsely toothed above mid-leaflet. 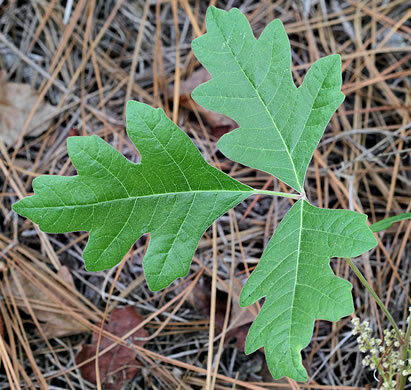 Lateral leaflets assymmetric & sessile, per Forest Plants of the Southeast and Their Wildlife Uses. 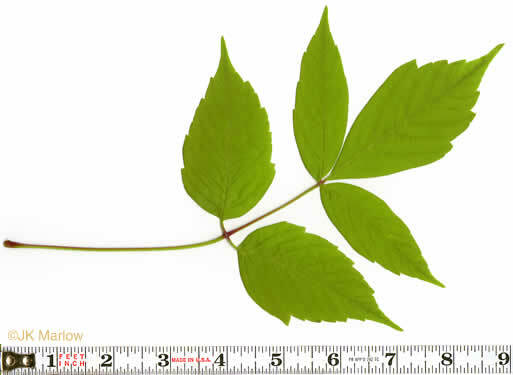 Petiolule of terminal leaflet is the same length as the lateral petiolules, per www.carolinanature.com. 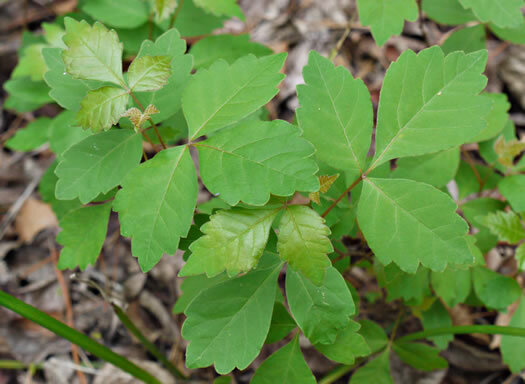 Leaflets thick, at first pubescent on both surfaces, glabrate in age, per Vascular Flora of the Carolinas. 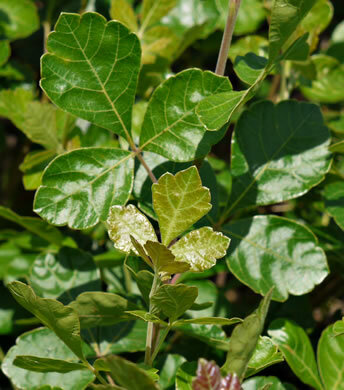 Leaflets coarsely toothed or slightly lobed on margins, per Native Trees of the Southeast, An Identification Guide. 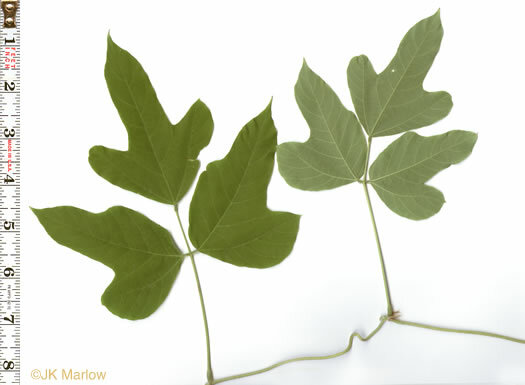 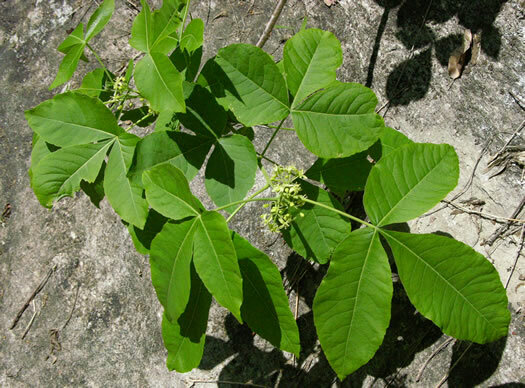 Can be mistaken for Poison Ivy, but that has alternate leaves, per Trees of the Southeastern United States. 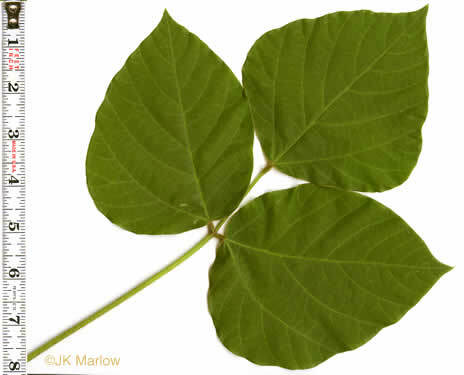 5(3-7) ovate to elliptic to obovate leaflets, margins serrate above middle, per Forest Plants of the Southeast and Their Wildlife Uses.